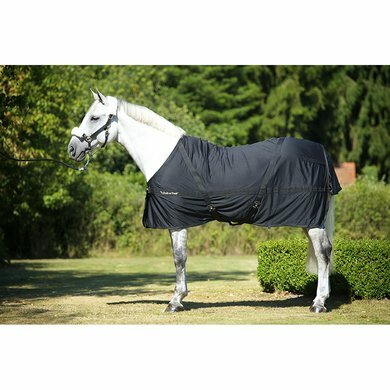 This super breathable lightweight blanket is ideal for the stable, as summer, sweat and under blanket, during transport and before and after training. The blanket has a very good fit. 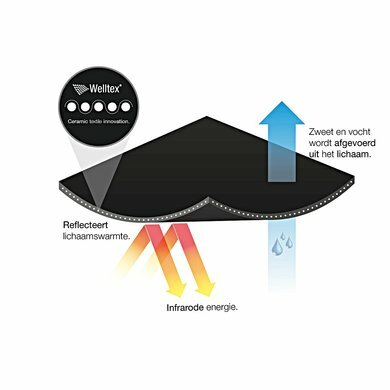 Furthermore a withers guard of fleece, Mia wrap-chest closure, cross surcingles, tail flap and cord and fastening eyes for leg straps. 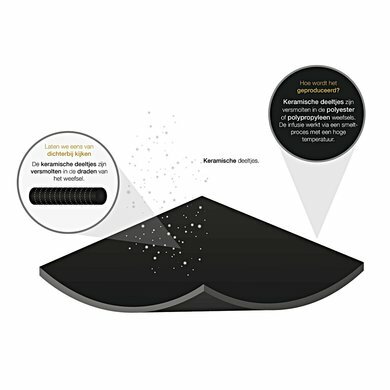 For use in combination with loose neck see Maasdeken art . : 2118. 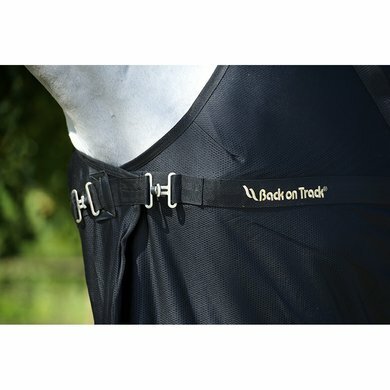 Horses do not sweat excessively under a Back on Track blanket. Available in black.